Here’s another awesome snack for people who are always looking for the next best on-the-go food. Sugar snap peas are easy to tote around, very sweet, and healthy. They are a cross between the garden and snow pea, which have plump pods with a crisp snappy texture. The pods of snap peas are edible. Peas are one of the few members of the legume family that are commonly sold and cooked as fresh vegetables. The other members of the legume family, including lentils, chickpeas, and beans of all colors are most often sold in dried form. They are all loaded with amazing nutrients, iron and protein. A favorite amongst vegans and vegetarians. 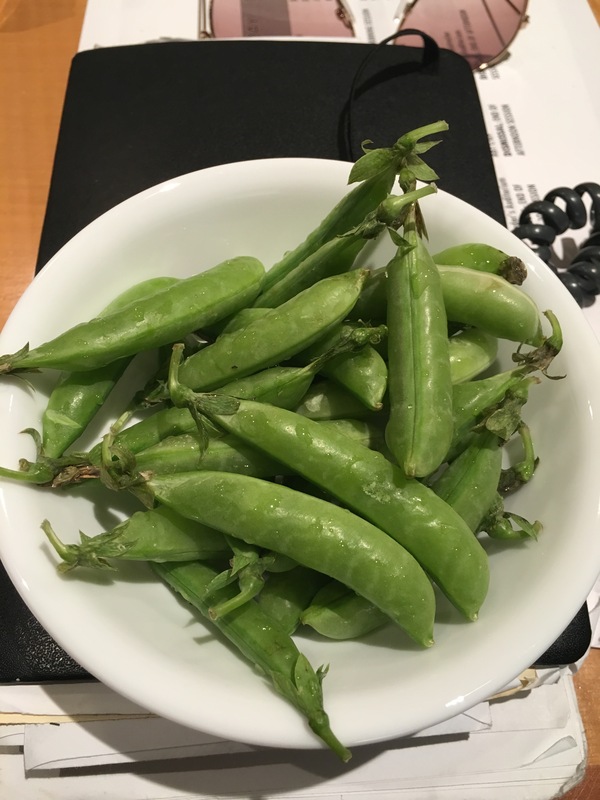 I prefer to eat my sugar snap peas raw because of the sweetness. To me, when they’re cooked, it loses that delicious sweet aspect. Plus when they’re raw, the skin is very crunchy. If you didn’t see me eating them but heard me, you would think I was eating cheese doodles. That’s how loud they are. Not only are they fun to eat, sugar snap peas are great for tossing them in my salads. They add a wonderful dimension to stir fried too. For amazing healthy information about the green peas and legumes family, visit whfoods site for up-to-date scientific studies, recommended dietary guidelines, and easy recipes. Try some today, and let me know if you like’em.